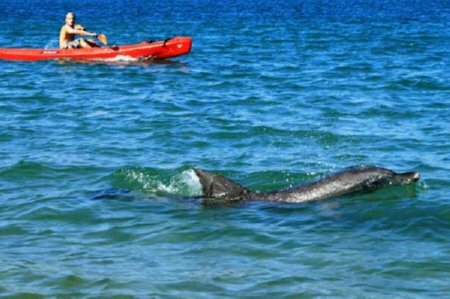 Enjoy the greatest natural adventure on Australia's Gold Coast, including kayaking, snorkeling, dolphins and Aboriginal culture. Breathe in the fresh air, and soak up the wonderful scenery as your guided kayak group paddles a short way across the calm blue water to Wavebreak Island. 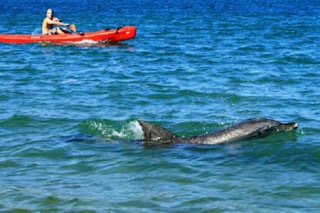 Marvel at the array of sea-life, dolphins, stingrays and birdlife you may encounter along the way. Snorkel straight of the sandy beach in the clear warm waters alive with sub-tropical fish and frequented by dolphins and enjoy a sumptuous traditional Aussie billy tea breakfast under the casuarina trees. The tour guides will awaken your senses to the nature that surrounds you as you participate in a mock hunt for the Golden Swamp Wallaby and learn about Aboriginal ceremonies and survival skills. Come down under for a visit and bring your sense of adventure! Married at 35,000 Feet: The SAS "Love Flight"